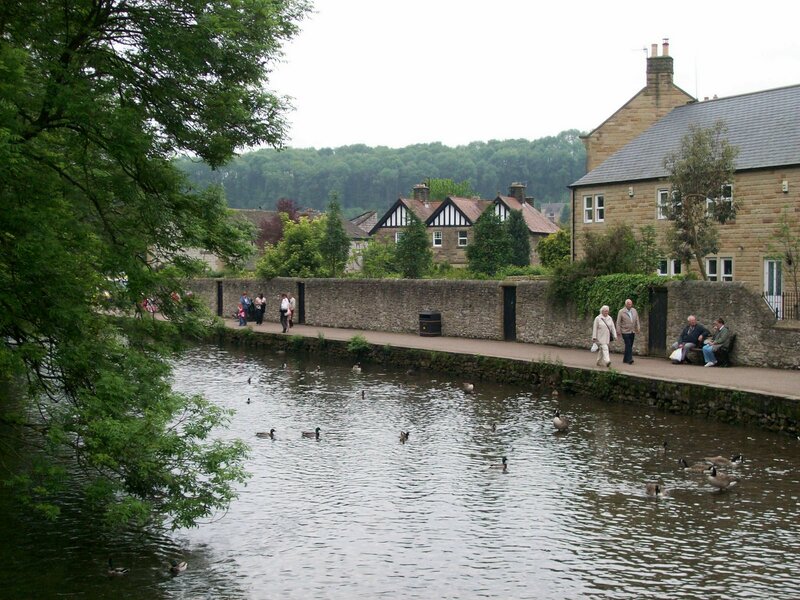 Floating contentedly along on the River Wye in Bakewell were several geese and two swans. 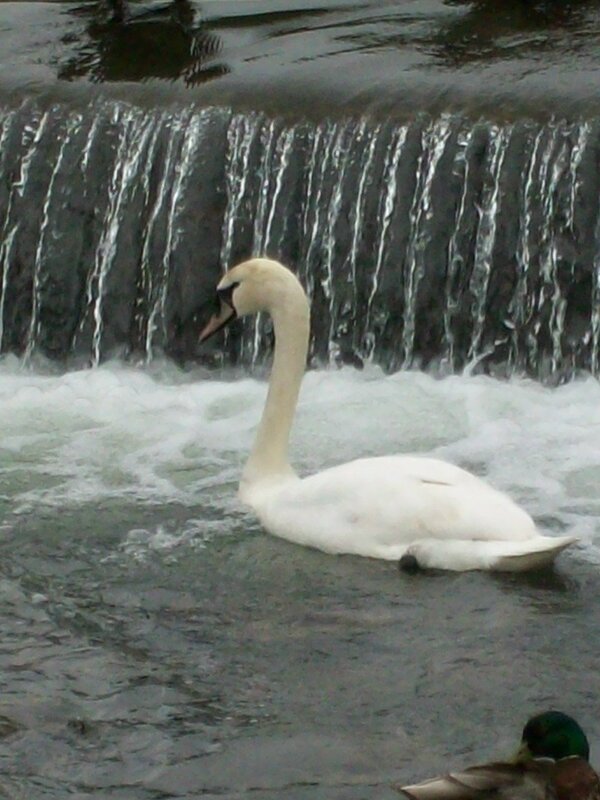 I don’t think I’d ever seen a swan up close before and the darkness of the water contrasted so well with the swan’s whiteness, I thought it’d make a nice picture. 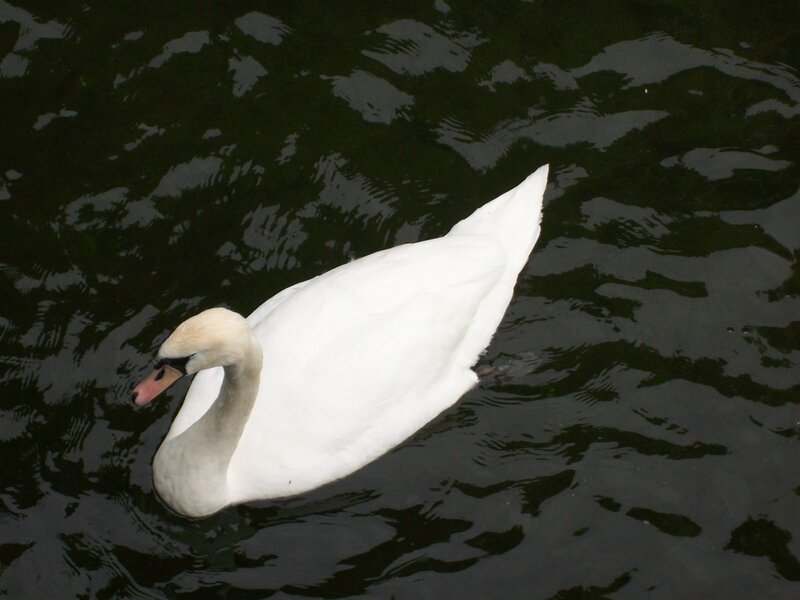 FYI – It is illegal to kill a swan in England because all swans belong to the queen.